David G. Bradley is known for the quiet lengths he’ll go to help journalists in times of danger or crisis. When Clare Gillis, a freelance journalist who had written for The Atlantic, was kidnapped in Libya in 2011 along with two other reporters, Bradley, the chairman of Atlantic Media, assembled a team of Atlantic staff and others who worked to help bring them home after 44 days of captivity. Freelance journalist James Foley was among those taken hostage with Gillis, and although Foley had not reported for The Atlantic, Bradley asked his team to also take on securing his safe return. Just a few years later, Bradley would again lead a team of volunteers to try to find five Americans who had been kidnapped abroad — this time in Syria. The hostages included freelance journalists Theo Padnos, Steven Sotloff, and again James Foley, as well as Peter Kassig and Kayla Mueller, who were doing humanitarian aid work in the region. Sotloff, Foley, Kassig and Mueller were tragically murdered by the terrorists who were holding them hostage. Padnos was the only one of the five to return home. “More than anyone else, he is responsible for saving Theo’s life,” said Nancy Curtis, Theo’s mother. Bradley and his team’s tireless work to try to secure the hostages’ release also had another important impact: for the first time, it brought their families together. 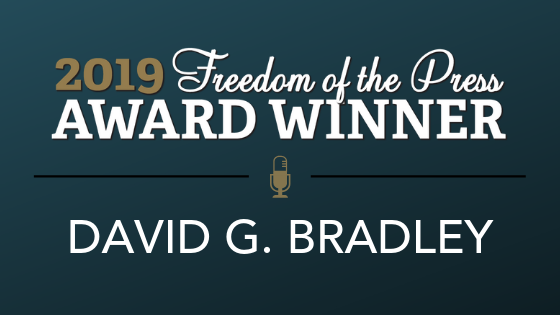 Bradley’s persistent dedication to individual journalists, First Amendment values and press freedom is why the Reporters Committee for Freedom of the Press will honor him at the 2019 Freedom of the Press Awards in May. 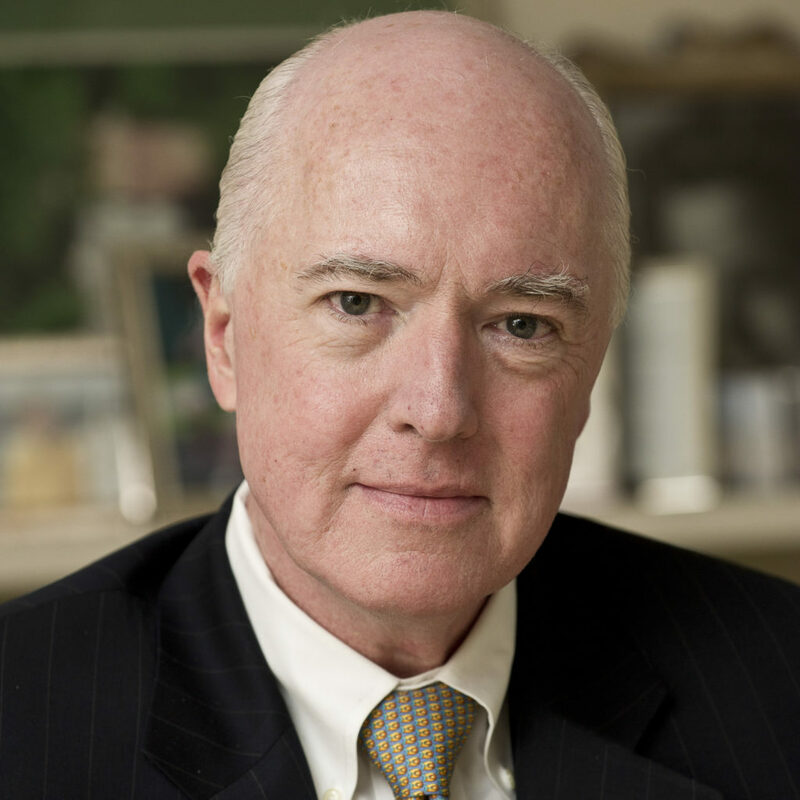 At 26 years old, Bradley, a Washington, D.C., native, founded The Advisory Board Company, and later would found The Corporate Executive Board Company, before purchasing The Atlantic in 1999. With his entrepreneurial vision, he revitalized the storied magazine for the 21st century. David is a graduate of Swarthmore College, and holds a J.D. from Georgetown Law School and an MBA from Harvard Business School. He was a Fulbright Scholar in the Philippines, where he studied multinational corporations and taught economics. In addition to Bradley, the Reporters Committee will recognize Andrea Mitchell, chief foreign affairs correspondent for NBC News; John Carreyrou, investigative reporter for The Wall Street Journal; and April Ryan, White House correspondent and Washington bureau chief for American Urban Radio Networks and a political analyst for CNN with 2019 Freedom of the Press Awards. The Reporters Committee will also honor the founders of City Bureau — Harry Backlund, Andrea Hart, Bettina Chang, and Darryl Holliday — with the second annual Rising Star Award.